Brooklyn Digest: Andrea Bartz On Her Debut Novel "The Lost Night"
Andrea Bartz. Photo by Kate Lord. Andrea Bartz, a journalist and essayist from Brooklyn, coauthored the blog and book Stuff Hipsters Hate in 2010. 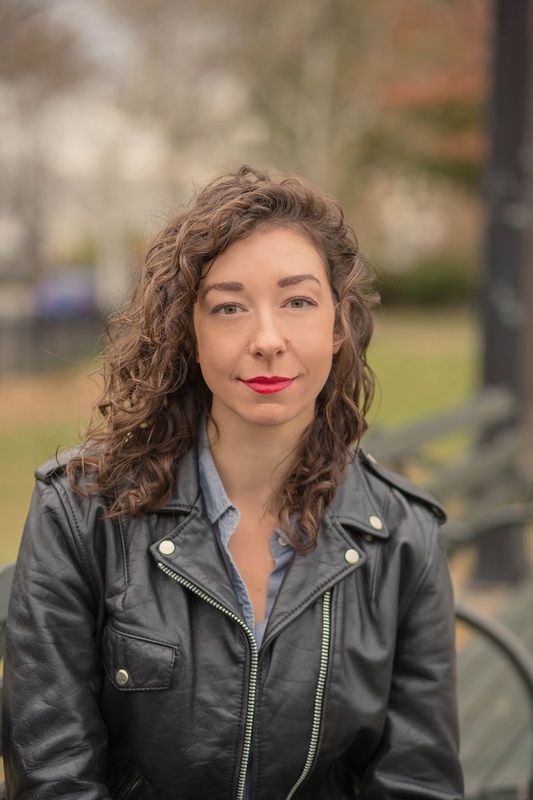 Her debut novel, The Lost Night, which is set in Williamsburg, is coming out on February 26, published by Crown. She will be appearing at Books Are Magic (225 Smith Street, Brooklyn, NY 11231, booksaremagic.net, 718-246-2665) on March 1 at 7:30 p.m. in a discussion with fellow author Jason Diamond. 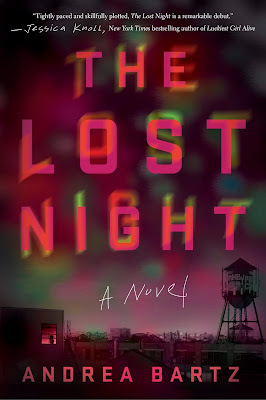 In The Lost Night, Bartz delves into the complex tangle of relationships and love and brilliantly captures that moment of being a twenty-something in a big city—when you’re on your own for the first time, when drama-riddled friendships feel crucial and everlasting, and when you feel invincible. She asks provocative questions such as, how well do we really know our closest friends, and how far will people go to protect their own dark secrets? Lindsay Bach is content with her life: She has a solid job at a glossy men’s magazine, devoted best friends, and her own cozy apartment. She’s certainly come a long way from her post-grad life in circa-2009 Brooklyn, when she and a group of recent graduates gathered nightly in a Bushwick loft complex to indulge in cheap whiskey, endless Pabst Blue Ribbon, and whatever deafening concerts and parties pounded through the building. And Lindsay’s long since moved on from the horrible event that brought the era to an abrupt end: the night when Edie, the group’s mercurial, seductive ringleader, was found in her apartment with a suicide note on her computer and a bullet in her head. The Lost Night, a literary mystery reminiscent of works by Jessica Knoll and Megan Abbott, explores themes of friendship, identity, and obsession inside the eerie, close-knit, closed-door world of deep-recession Bushwick. For inspiration, Bartz looked no further than her own experience as a postgrad in Brooklyn’s late-naughts hipster scene. Bartz, whose work has appeared in the Wall Street Journal, Vogue, Marie Claire, Cosmopolitan, Men’s Health, Harper’s Bazaar and many other publications, homed in on how McKibbin Lofts, then a legendary dorm for young artsy types, might play out as the site of a mysterious death. Jason Schott: How much is The Lost Night, including its main character, Lindsay, based on you? Andrea Bartz: There are definitely elements based on my own experience. I really was 23 in 2009, and I really did go to a lot of parties in McKibbin Lofts and concerts in DIY venues in Bushwick. But Lindsay has very different problems from me: I don't question if I killed anyone, so already we're very different there! Basically, Lindsay is all of my insecurities and neuroses the nth-degree, which hopefully makes her a compelling narrator. Some people find her immature or annoying, but I think she wouldn't be believable if she weren’t still very self-conscious and analytical and trying to figure herself and other people out. I think that's what makes her interesting and, hopefully, relatable: All those thoughts at least originated from my brain, even if we don't share all of the same neuroses. JS: Where are you from originally and when did you move to Brooklyn? AB: I'm from the Milwaukee area originally, and then I went to school outside of Chicago and moved to New York right afterward. It was 2008 when I graduated, and I was lucky to get one of the last few jobs before Conde Nast had a hiring freeze. I was an assistant at a glossy magazine and going to a lot of press events and going out with my friends, making $27,000 a year and spending way too much of it on nights out, like you do when you're 22. It was only years later that I realized what an interesting time that was; in 2008, nobody knew what was going on, but 2009—I think Lindsay described it as being like right after an avalanche, where you're like, “Is there more coming? Is it going to get worse?” In some ways, it was an incredible time to be a young, creative person because there was no money anyway and the whole American Dream had just been ripped out from under us, so you might as well go all in on your respective art. At the time, I did follow a traditional trajectory where I moved through different magazine jobs and worked my way up the ladder, but I definitely knew a lot of people where that was just a year of running wild. It was a unique turning point for how Americans viewed meritocracy and viewed the promise of capitalism and of getting a degree. I thought that would make really fertile ground for a story set in the middle of all that instability. JS: This is a story people can empathize with now, in the sense that things haven't changed that much. 30 years ago, there was much more of a guarantee that you would go to college and then go right to work. Do you think your story shows that people just decided to live it up when it felt like their world was crashing down, a lot more willing to take risks? AB: I set it in 2009 when I was 23 years old, but readers of different ages have read it and said stuff like, “This is a great thriller with a mysterious death set in the '90s in New York.” They relate it to whenever they had that period in their early 20s. 2009 was a particularly interesting time to be out on your own for the first time, but people of all ages—people younger than us who really didn't know the world before the Great Recession, older people who grew up in boom times or other recessions or the dot-com bubble—for everyone, it's a unique time when you finish school and suddenly you're off the conveyor belt, right? You're on your own and there's a sense of invincibility. When you look back years later, you have this feeling of, “How on Earth did we survive? I shouldn't be alive now!” That’s kind of universal. I was looking for a particular time that jibed with my own experience, but other people seem to find some similarities with their own experiences within that. JS: How did you zero in on the idea of centering this book around someone killing themselves? Is that based at all on your life?AB: No. I knew I wanted to write a mystery, so I needed a death. Then the question was, “What would be an interesting setting in which to have the death?” When I started writing this in 2014, we were still very much in an anti-hipster period. It still exists now, but at the time, it was like, “Those terrible, insufferable creatures who didn't care about anything—they were the worst!” But I was thinking about my own experiences in McKibbin Lofts, and what a close-knit, closed-doors world it was: this microcosm, this crucible of a subculture, really, where you could walk in on a Friday night without any idea what was going on, and you could find an open mic, two concerts, a play, and a party, and everyone was strangers who didn't feel like strangers together. I just thought how interesting it would be if, at the end of one of those nights, when a million different storylines happened, there was a dead body. JS: The way you describe the communal living in Williamsburg was compelling. How unique is that to here? AB: It's a great question. Was McKibbin Lofts the only thing like that? No. Is it even the most extreme example of that? Absolutely not. What comes to mind is in Oakland, Ghost Ship was this huge, sprawling warehouse, DIY to the max, a co-living, co-working studio space built up from plywood. In December 2016, there was a fire during a concert there that killed 36 people. There was that beautiful, affecting New York Times Magazine cover story about it not too long ago, and as I read it, I was thinking, “I've been to DIY spaces in East Williamsburg that definitely were not up to code and didn't have all the fire escapes you would need. It absolutely could have been me.” So there definitely were other huge loft buildings where artsy people were congregating and having concerts and creating art together in a lot of different hubs, right? I'm sure they were in Austin and LA and Portland and all over the place. And people who’ve been in those other spaces should relate and, hopefully, will understand that energy, which felt unique and special. And hopefully, when they’re reading about it, even people who’ve never set foot in one of those will still find it interesting and understand what it's like to feel like you're a part of something small and special that's actually huge and spread out across the world.